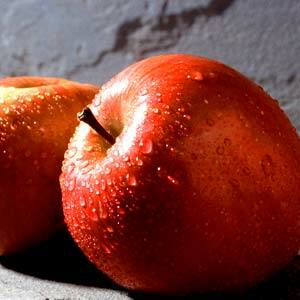 One reason this adage could have originated is because apples are good for liver health! Your liver is a key organ in keeping your overall health, it does more than just filter away alcohol when you consume too much over the weekend. Your liver is responsible for hundreds of enzyme reactions throughout your body (not all are fully known!). Those who are interested in losing weight might want to stay away from alcohol not just due to empty calories, but because your liver processes fat! Liver damage and inflammation can sneak up on you, because most obvious liver failure and fatty liver symptoms won’t become noticeable until the damage is done! So other than eating an apple a day what can you do to protect yourself from the perils of fatty liver and other damage. Critically linked to the ability for your liver to detoxify is having adequate glutathione levels. In fact when your body has adequate glutathione the highest concentrations are found in the lungs, liver, and brain. Every time your liver is exposed to excess chemicals, pollutants, or toxins, your liver concentrations of glutathion drops considerably. This is in line with anti-oxidant theory, where the chemicals like alcohol cause damaging oxidative stress and inflammation, so the GSH gets used up combating the reactive oxygen species. Your liver is resilient and can do a remarkable job of healing and re-growing cells. It’s incredible healing prowess is indicative of just how important it is to your body. There have been studies of various ways to increase glutathione and the effects on various liver related illnesses and markers. The liver can replace massive amounts of damaged tissue with new cells, relatively rapidly. The complication comes when the cells can’t regenerate completely, or the damaging factors continue bombarding the liver without it having a chance to heal properly. This is most often attributed to alcoholism, or a viral load issue like hepatitis. This can lead to actual SCARRING of the liver which is known as cirrhosis. The scar tissue will always be scar tissue, but the healthy tissue can be helped along with repairs and keeping healthy with good diet and nutrition. Increasing intracellular glutathione benefits liver cells by restoring the depleted GSH the inflamed liver is using up to protect itself. Maintaining adequate glutathione levels essentially gives your liver a break from having to deal with the onslaught of attacks all by itself, giving it more room to heal, and perform it’s myriad of OTHER important health functions. Imagine if your liver was so healthy all those cells had to manage was fat metabolism, and healthy enzyme reactions. A healthy liver is the key to an efficient and healthy body. There has been some research into the therapeutic effects of Glutathione on liver disease and liver damage. In a study of rats with secondary biliary cirrhosis from bile-duct ligation showed a direct correlation with depletion of mitochondrial glutathione levels over controls. The data also suggested the possability of impaired transport of GSH into mitochondria. The current treatment for acetaminophen overdose is N-acetylcysteine which is a GSH pre-cursor that rapidly restores cellular GSH levels. There has been study’s related to increasing GSH with whey protein powder and long term liver health benefits and protection. Because depleted glutathione has been measured in the research for so many diseases, even when a study is not directly about GSH and liver health it’s easy enough to make your own inferences on the benefits of Glutathione for repairing liver damage and of course providing some longer term protection.